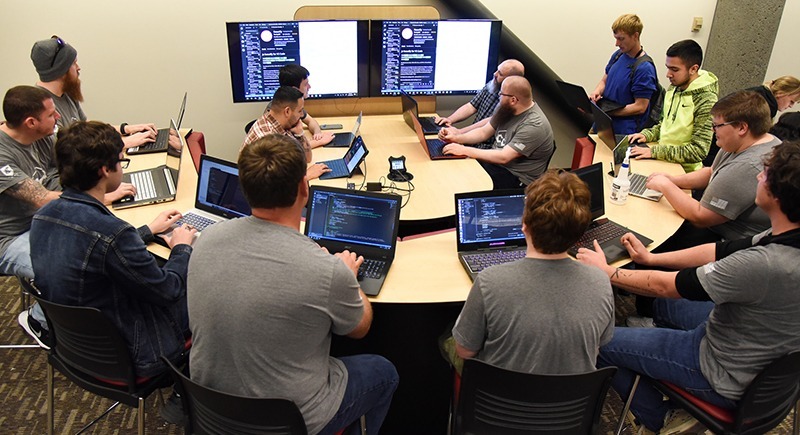 RICHLAND, Wash. – The Coding Cougs Club from Washington State University Tri-Cities had 27 hours to create three applications in teams that would address accessibility through technology during a recent coding competition in Seattle. Little did they know that one of their teams would beat out dozens of others, earning them second place for their category in a competition that featured more than 600 competitors. 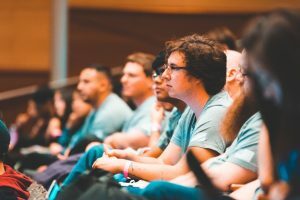 But while their success in the competition was a huge validation of their knowledge in coding, the goal of the competition wasn’t so much the status and prestige that came with doing well. The goal, many of the participants said, was the opportunity to apply their academic knowledge and computational thinking to produce a real-world result. Manny Bonilla (center) and his teammates go up to the stage to accept their second place award for their “DubReader” application at the DUBHACKS competition in Seattle. from around the Pacific Northwest. The WSU Tri-Cities students’ DubReader application took second place in its category. All three projects, however, received praise from representatives from companies ranging from Google, to Uber and Lyft, to Microsoft. And not only did they receive positive feedback from the companies, they also got to work with professionals from those companies during the competition. “We had mentors from the industry – people from Google, Microsoft, Amazon, Athena – who worked with us throughout the process and asked us questions to see if we needed help,” Bonilla said. And in turn, their work proved to be ideal as examples when applying for jobs. Bonilla said one of the main benefits of participating in coding competitions is that it offers students the opportunity to complete projects that they can use as resume boosters outside of what they have completed in school. All of the WSU Tri-Cities competitors said the competition provided a great test to their skills in resiliency in modes where they were required to problem-solve. 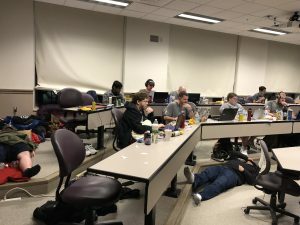 Members of the WSU Tri-Cities Coding Cougs Club take turns coding and taking naps during the DUBHACKS coding competition in Seattle. The students spent 27 hours designing three applications in three teams. Computer science senior Josh Wassing said with their Evaluating Local Candidates application, they ended up throwing out their whole user interface after working on it for 12 hours during the competition, but that it served them well to do so in the end. 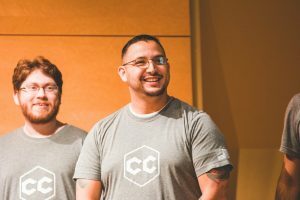 The team said they were grateful to have such positive support from their computer science professors at WSU Tri-Cities: Bob Lewis and Luis de la Torre. 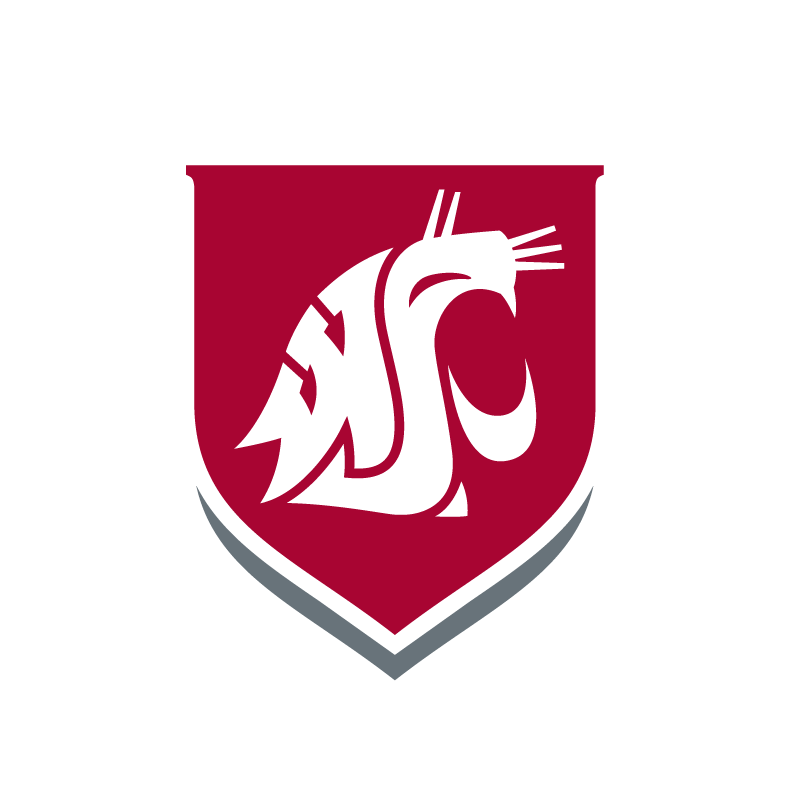 The team will next compete at the Crimson Code hackathon competition at WSU Pullman in February. In light of their recent success, many of the team members said they are excited to put their skills to the test again. 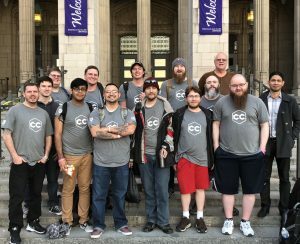 The WSU Tri-Cities Coding Cougs team awaits the results of the DUBHACKS competition in Seattle. And for many students, these competitions provide verification that they have chosen the right career path. “I’ve been programming apps for a while, but this experience is showing that it is something I want to do,” said Ezequiel Torres, a junior computer science major from the Evaluating Local Candidates team.